Withering under a load of burn out, Kate Donovan agrees to accompany her grandmother to Pennsylvania and spend a few months restoring the old house that her grandmother grew up in. Matt Jarreau, the handsome man her grandmother hired to renovate the house, is a loner. When Kate's innocent attempts at friendship with him are rebuffed, her stubborn heart refuses to let her stop reaching out. As tension grows between Kate and Matt, so does something else. A love that leads them to a greater revelation of God's love for them. As they both face career decisions and the pain of Matt's past, only a love stronger than themselves will be able to hold them together. Can they accept God's will? Or must they sacrifice their hope and love? 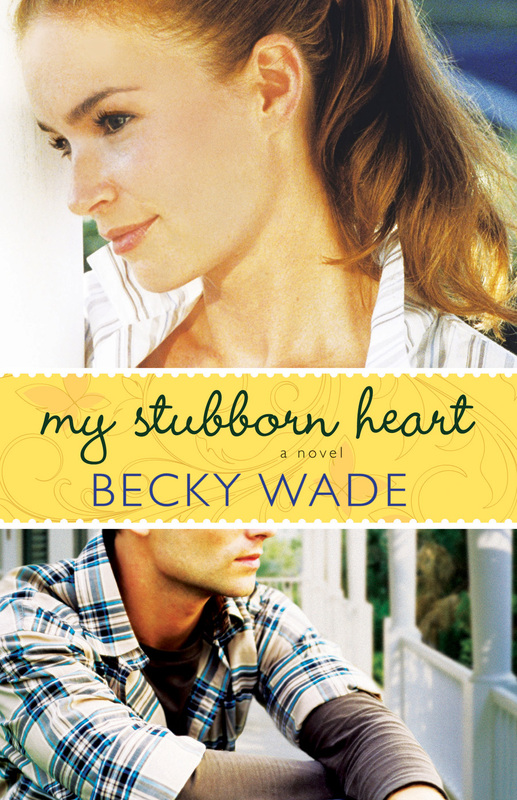 My Stubborn Heart by Becky Wade far exceeded my expectations. From the explanatory, yet intriguing prologue, I was hooked on the story line. I would love to see this book made into a movie. To me, it has has all the great elements: authentic characters complete with flaws and pain, a strong mysterious male, romantic tension between the two main characters, personal tension internal to each character, and redemptive love. Kate essentially sums up the theme of the book during a conversation with Matt: “He [God] never promised us that we wouldn't suffer. But He's too good just not to redeem it. And He does promise us that He won't leave us. That He'll be with us through the worst. That He loves us.” (Page 180) This theme, woven into both the plot and characters, is strong enough to touch the reader's heart. My Stubborn Heart is one of the best books I've read this year and I recommend it to anyone who enjoys romantic fiction. I'll definitely be looking forward to more books by Becky Wade! Disclosure of Material Connection: I received this book free from Bethany House Publishers as part of their blogger review program. I was not required to write a positive review. The opinions I have expressed are my own. I am disclosing this in accordance with the Federal Trade Commission’s 16 CFR, Part 255: "Guides Concerning the Use of Endorsements and Testimonials in Advertising."